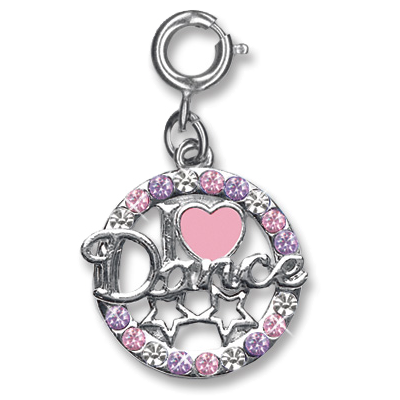 Celebrate the love of dance - whether it is ballet, jazz, hip hop, tap, or other style of dance - with this beautiful CHARM IT! I Love Dance charm. 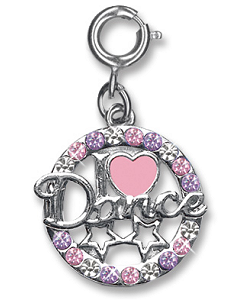 With a pink enamel heart and sparkly pink, clear, and lavender acrylic stones surrounding the shiny lettering, the dancer in your life will love this I Love Dance charm. With a simple snap of a clasp, girls can personalize their CHARM IT! jewelry with this CHARM IT! I Love Dance charm.